Miss Clara Knight’s Curious Collections: Seashore Specimens (x) has been selected for display at Leicester’s Open 29, New Walk Museum and Art Gallery, 53 New Walk, Leicester, LE1 7EA. 0116 225 4900. From 15.12.18 to 2.2.19. An exciting exhibition, showcasing the extensive and diverse skills of the Leicestershire-based Tesserae Group. As a member of this group, I will also be exhibiting a selection of my work. Nuneaton Museum and Art Gallery, Riversley Park, Nuneaton CV11 5TU from 3rd November to 9th December 2018. Specimen Series (iii) Holly Leaf. 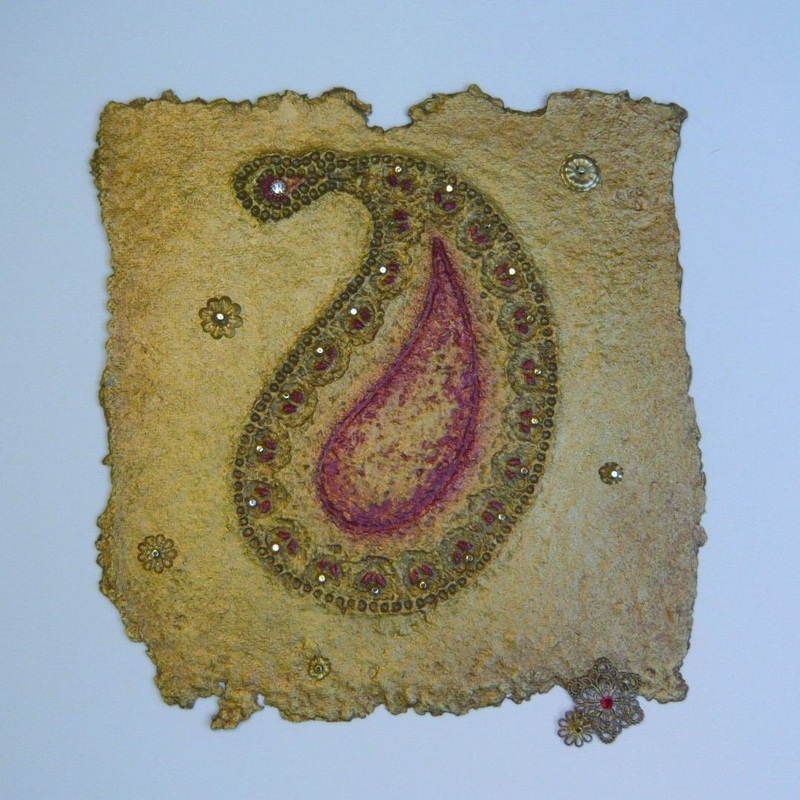 Handmade paper, inclusions, stitch. I have been a member of the Tesserae Group for many years and will be exhibiting my latest addition to Miss Clara Knight’s Curious Collections at their stand at The Big Textile Show, Leicester Race Course, Leicester Road, Oadby, Leicester LE2 4AL. 27th and 28th October 2018. Miss Clara Knight’s Curious Collections, Seashore Specimens (x). Cast Handmade paper. I am one of five local artists exhibiting in the upstairs gallery at 8 Church Square, Market Harborough, Leics, from 18th August to 12th October 2018. Other exhibiting artists are Kelly Gardner, Jennifer Rance, Meg Bonser and Gill Baker. www.eightchurchsquare.com , www.joynorman.co.uk, www.kellygardner.co.uk , www.jennyrance.co.uk , www.megbonser.bigcartel.com. Silurian Ilex II – has been accepted for display in the Cank Street Gallery Open Exhibition 2018. Silurian Ilex II. Handmade paper with inclusions. Marnie (f) From the the Latin Marinus, meaning ‘of the sea’, has been accepted for display in the Cank Street Gallery Open Exhibition 2017. ART HOUSE 2017 – I have been invited to participate in Art House Leicester which is taking place 9/10/11th June in the Clarendon Park and Stoneygate area. This event offers a different take on the art trail: it takes you through city suburbs, with houses taking the place of galleries. 10 different houses showing work by up to 40 local artists, including Jewellery, Textiles, Fine Art, Sculpture & Ceramics. Art House gives you a chance to see “extraordinary art in ordinary houses” and meet the artists who have made it. See www.art-house.org.uk for more information. Facebook: Art House. Felice (f) from the Latin meaning, ‘lucky’. Handmade paper inlaid with antique wedding veil embroidered net. DOTTY GALLERY WORKSHOPS – after recently holding a hugely enjoyable Handmade Paper Bowl workshop at Dotty Gallery, I will be holding two more in Jan and Feb 2017. Dotty Gallery, The Ferns, 12 Main St, Twyford, Melton Mowbray LE14 2HU. 01664 840910. http://www.dottygallery.co.uk. See ‘Workshops’ for further information. A selection of my Paper Dreams range on display at Dotty Gallery. 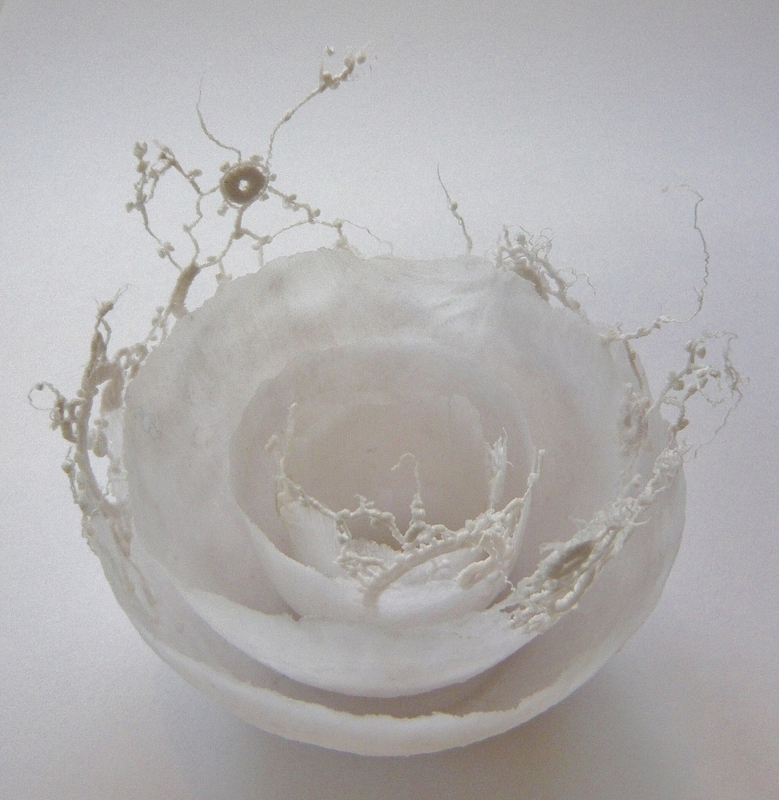 Delicate vessels created using a variety of handmade papers, including vintage book papers that show tiny fragments of words. WEST END GALLERY, SUMMER EXHIBITION – Mon 13th July to Saturday 19th September. I have been invited to participate in this annual exhibition at the West End Gallery, one of Leicester’s most well-established art galleries. Uprising, detail. Handmade paper and textile on canvas. MORE DATES CONFIRMED FOR WORKSHOPS AT WISTOW GALLERY: see Workshop page for further details. Crafting Collaborations Synchronise is more than an exhibition; its acts as a catalyst for new ways of working and skill sharing amongst Design Factory’s network of designer/makers. In its first year in 2013 Synchronise supported 20 makers to pair up and produce new collaborative bodies of work by swapping materials or combining materials and skills. The resulting exhibition was an inspiring collection of textiles, ceramics, jewellery and furniture.Two years on and some collaborations are still working together and producing work for retail and exhibition as well as talking about their experiences at national fairs and seminars. This season Synchronise II is back with a new and larger cohort of makers. Over the last year 40 members of Design Factory have been working together through discussion, experimentation and ideas development to produce new inspiring works that are presented in this thought-provoking exhibition that also celebrates Design Factory’s tenth year. I have collaborated with Alison D’oyley, artist/printmaker to create a collection of printed and embellished cushions, as well as a series of collagraphs inspired by lace. The exhibition runs from 4th July to 6th September 2015. National Centre for Craft and Design, Carre Street, Sleaford, NG34 7TW.http://www.designfactory.org.uk. Common Thread 5, detail. Collagraph on cotton fibres. 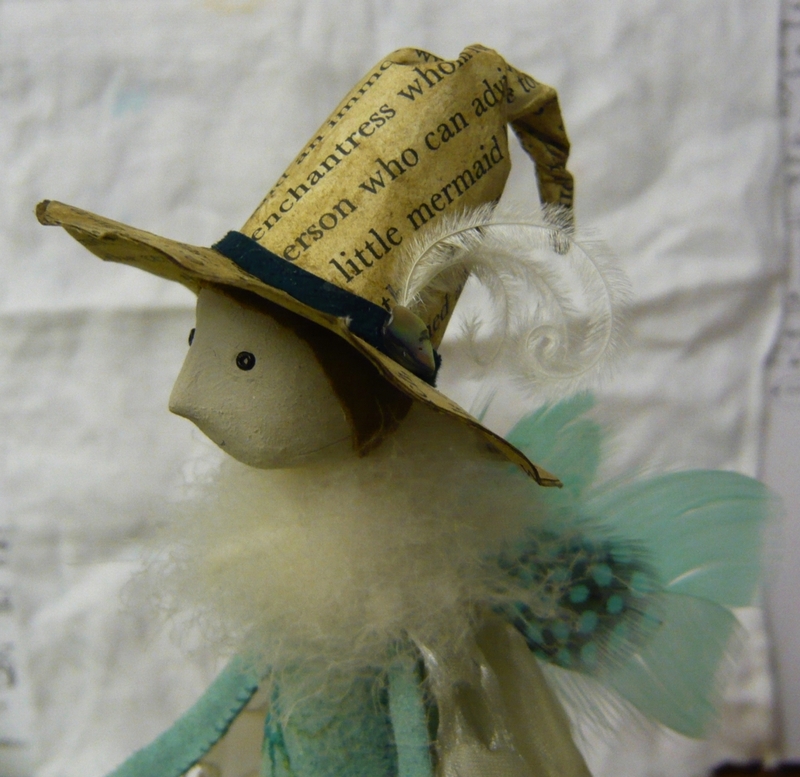 NURSERY RHYMES AND FAIRY TALES – SUDBURY HALL As a member of the Embroiderers Guild, Joy will be participating in the The East Midlands Region of the Embroiderers Guild show: ‘Nursery Rhymes & Fairy Tales’. This is an exhibition of member’s work, organised for the Guild’s Kickstart Programme 2015 and will be shown at two different venues. 20th May to 12th July 2015, Sudbury Hall and Museum of Childhood, Derbyshire, DE6 5HT, then 19th July to 5th September 2015, at the Small Gallery, Charnwood Museum, Loughborough, LE11 3DU. TESSERAE TEXTILE GROUP EXHIBITION 2015 An exciting exhibition, showcasing the extensive and diverse skills of the Leicestershire-based Tesserae Textile Group. As a member of this group, I will also be exhibiting a selection of her work. Sat 9th May to Sat 29th May at Snibston Discovery Museum, Ashby Road, Coalville, Leicestershire, LE67 3LN. Tel 01530 278444. www.leics.gov.uk/snibston_museum. 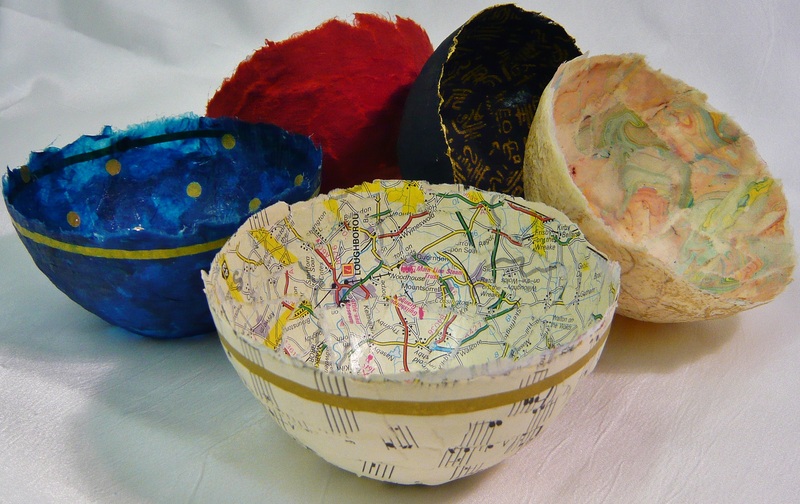 NEW WORKSHOP Due to popular demand, I have added a new workshop to my list at Wistow Gallery – Handmade Paper Bowls. For further details see Workshop page. WISTOW GALLERY – FROST AND FIRE My work is on show as part of the Frost and Fire exhibition at Wistow Gallery, Wistow Rural Centre, Kibworth Road, Wistow, Leicestershire. LE8 0QF. 0116 2592400. http://www.wistowgallery.co.uk. WEST END GALLERY, THE BIG LITTLE WINTER SHOW I now have work on display at The Big Little Winter Show, at the West End Gallery, 107 Highcross St, Leicester LE1 4PH, http://www.westend-gallery.co.uk. This show continues until mid-Feb 2015. ‘Eoforwine’, (m) from the Old English, Aethelwine meaning ‘friend of the sea’. 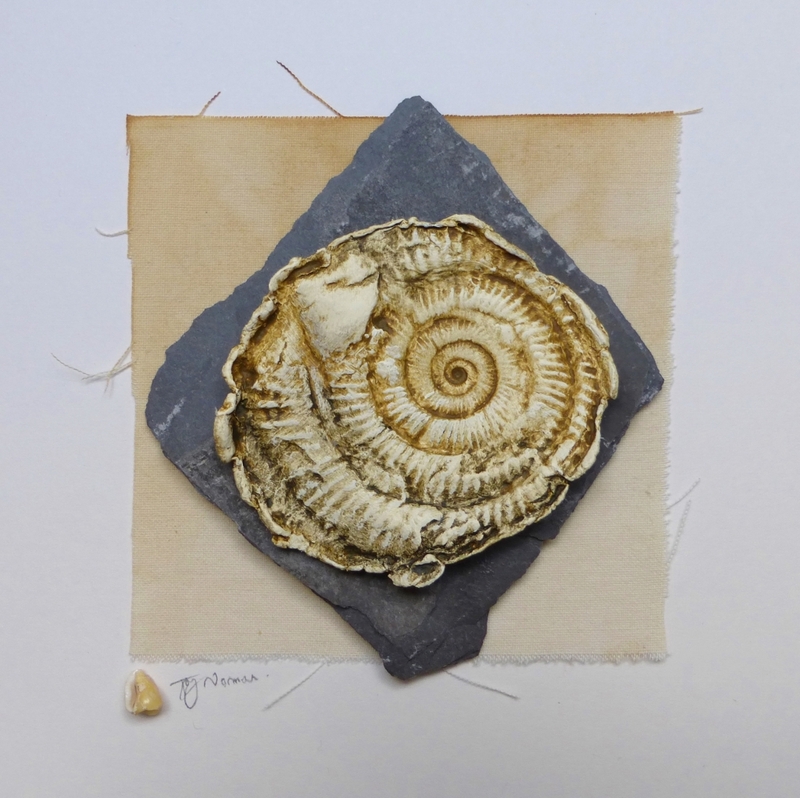 QUINN’S GALLERY – WINTER SHOW Pieces from my Fossil & Slate Series are now on display in Quinn’s Bookshop & Gallery Winter Show at Three Crowns Yard, Market Harborough, Leics. 01858 42313. http://www.quinnsbooksandart.co.uk. Show continues until early Jan 2015. WORKSHOPS AT WISTOW GALLERY More dates coming soon for Joy Norman workshops at artshed@wistow. 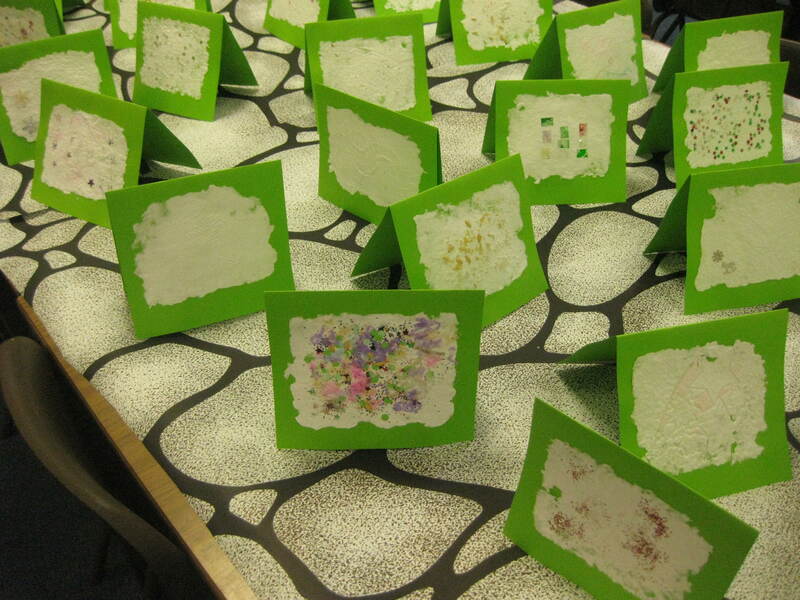 Choose from Papermaking, using either the Mesh or Spreading method, Decorating Handmade Paper, or Melted Fabric Corsages. Please see Workshops page for further details. 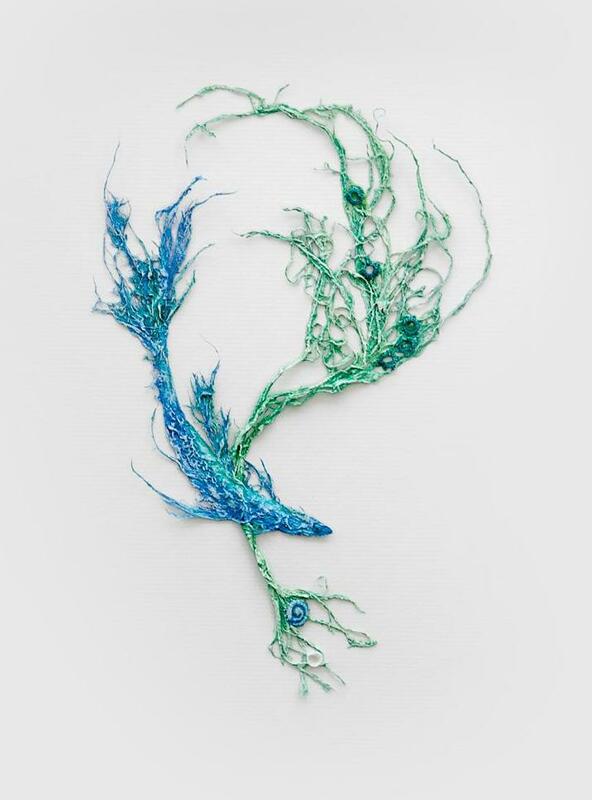 CANK STREET GALLERY OPEN EXHIBITION 2014 Derorah (f) From the Hebrew, meaning ‘flowing stream’, has been selected for display in the Cank Street Gallery Open Exhibition 2014, 44-46 Cank Street, Leicester, LE1 5GW, 0116 253 2330. http://www.cankstreetgallery.co.uk. The exhibition is on from 7.10.14 until 25.10.14. Derorah (f) From the Hebrew, meaning ‘flowing stream’. SOCK ANNUAL OPEN EXHIBITION 2014 Runa (f) From the Old Norse, meaning ‘to flow’, has been selected for display in the SOCK Gallery Annual Open Exhibition, Loughborough Town Hall, Loughborough, Leicestershire. The exhibition is on from 10.8.14 to 7.9.14. Runa (f) From the Old Norse, meaning ‘to flow’. MADE IN LEICESTERSHIRE – SELECT I am one of 23 Leicestershire artists/makers to be selected for inclusion in Creative Leicestershire’s 2014 Directory: Made in Leicestershire, (which will be launched at the end of September), as well as their online Directory. I will also be participating in two exhibitions organised for the successful candidates. ‘Made in Leicestershire – Select’ will be the first, from 12.4.14 until 15.6.14, displayed in the Gift Shop at New Walk Museum & Gallery, 53 New Walk, Leicester, LE1 7EA. 0116 2254900. The second exhibition will be held from 18.7.14 to 7.9.14, at the Ferrers Gallery, Staunton Harold, Ashby de la Zouch, Leics, LE65 1RU. 01332 863337. http://www.ferrersgallery.co.uk/. Paper Dreams Bowl Set. Elodie (f) From the Greek, meaning ‘fragile flower’. WISTOW GALLERY – WORKSHOPS From April 2014, I will be holding Creative Papermaking Workshops in the new Artshed area at Wistow Gallery: Students will be shown how to create their own unique textured and patterned paper samples, using impressions, inlay and a host of other embellishments. For further details, please see ‘Workshops’. OPEN 25 ‘Merna’ (f) from the Gaelic, meaning ‘beloved’, has been accepted for display at Open 25, New Walk Museum & Gallery, New Walk, Leicester. WISTOW GALLERY – RE-OPENING 1.2.14 Wistow Gallery is to re-open under a new owner, Bridget Hawkridge, on Saturday 1.2.14. 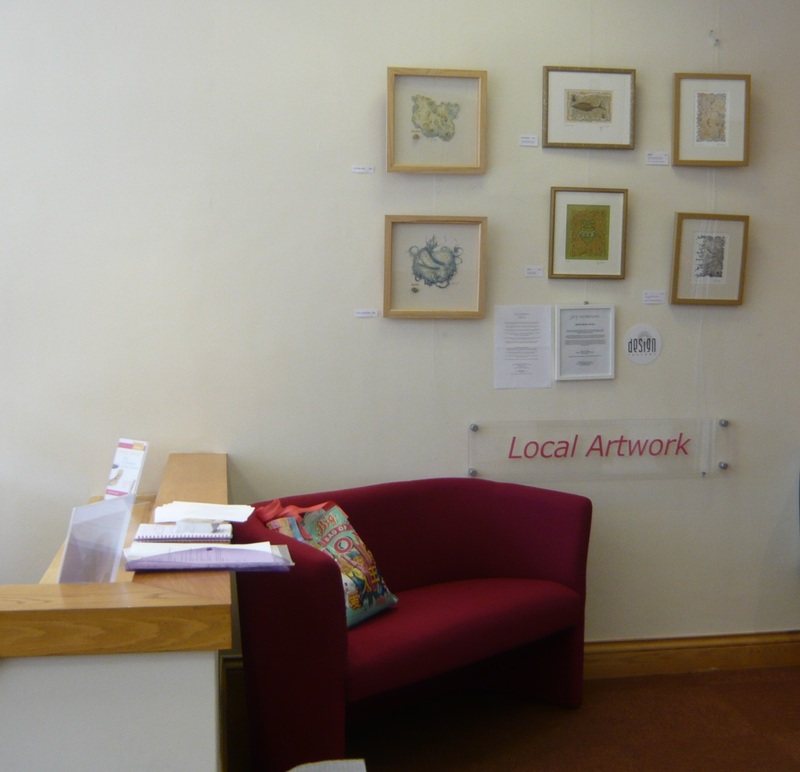 With new collections and displays of work from new and established Leicestershire artists and makers. I will have a selection of work on show in the gallery, including my Paper Dreams Bowl Sets. Wistow Gallery and ART SHED @ Wistow, Wistow Rural Centre, Kibworth Road, Wistow, Leicestershire. LE8 0QF. 0116 2592400. http://www.wistowgallery.co.uk. 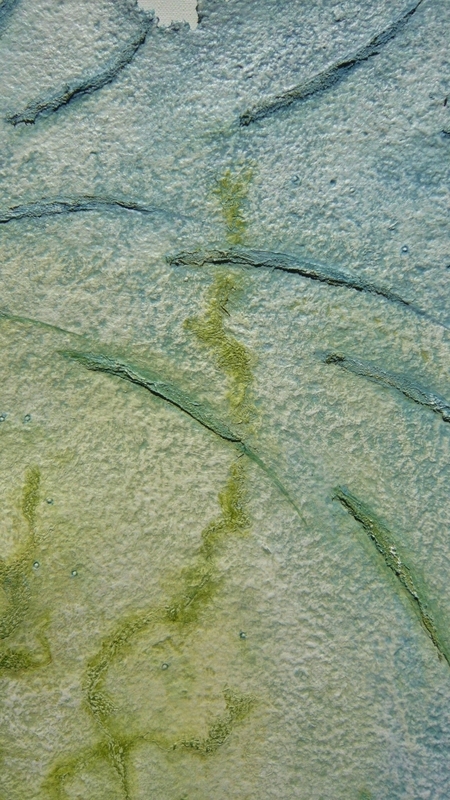 ‘Nerice’, handmade paper work by Joy Norman. FLIGHT OF FANCY – RETURN TRIP Leicestershire Artist, Joy Norman, is set for take-off at East Midlands Airport for the second time this summer. Joy has been chosen to display another collection of her work, at the airport’s DepARTures art gallery after being previously selected to display her ‘Sea Dreams’ exhibition from June to August this year. This new collection will be on show for three months from 5th September 2013. The judging panel were unanimous in their selection of Joy’s ‘Creature Feature’ collection – a group of handmade paper works inspired by butterflies, dragonflies and fantastic mythical creatures. DepARTures is an exciting scheme offering local artists the opportunity to showcase their work to the 4.3 million passengers who travel through East Midlands Airport each year. This scheme has already proved to be a great success with a wide variety of different artists displaying their talent in various mediums. Says Joy, ‘I’m absolutely thrilled – it’s a fabulous opportunity for me to show my work in such an amazing space. 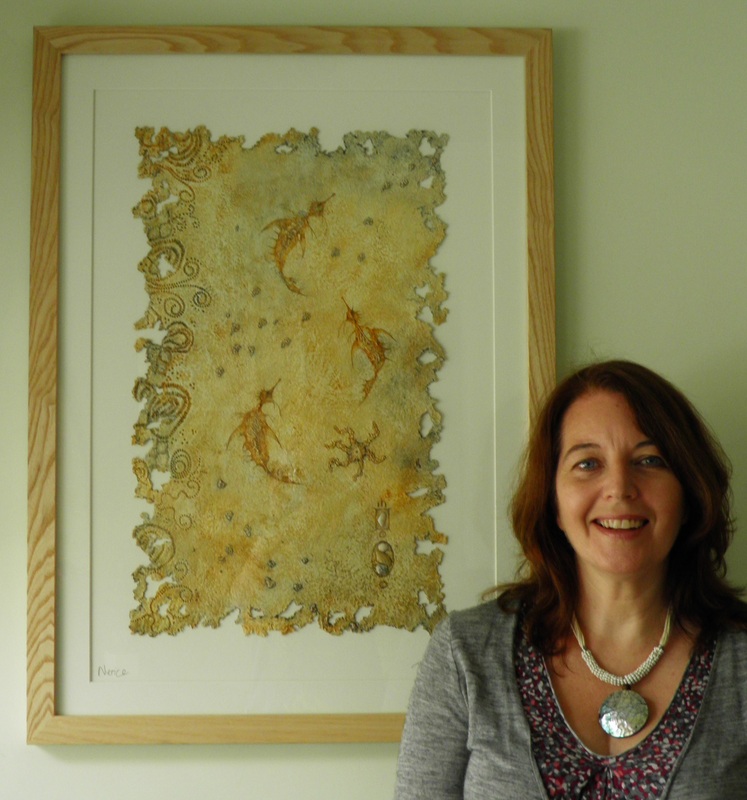 When I deliver the collection I have to take my passport – and my work is going to be scanned by the x-ray machines!’ As a Mixed Media artist, Joy has been producing framed work, wall hangings, and sculptural shapes for 25 years, from her attic studio in Blaby. 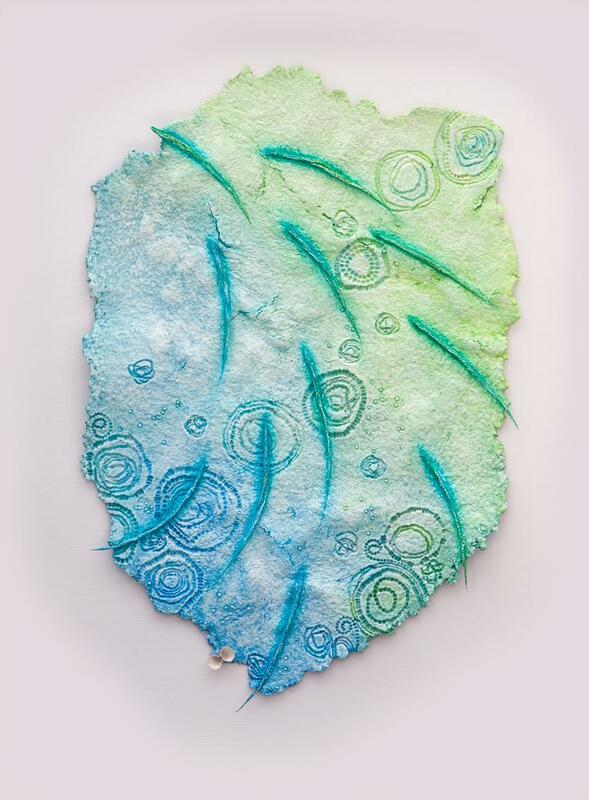 Using self-recycled paper pulp, Joy creates beautiful, textured paper works with techniques such as inlay, impression-making and free-motion embroidery. 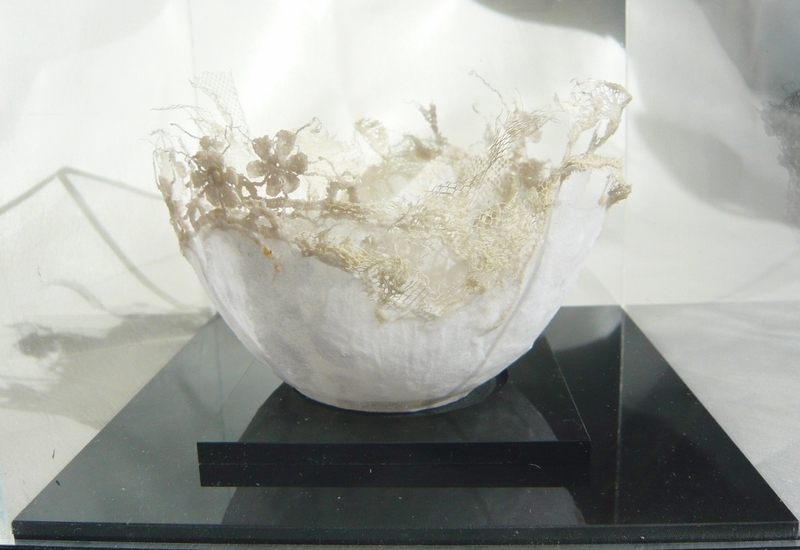 In many of her works, she incorporates fragments of vintage lace, organic items and found objects, using them to build up the artwork in relief. 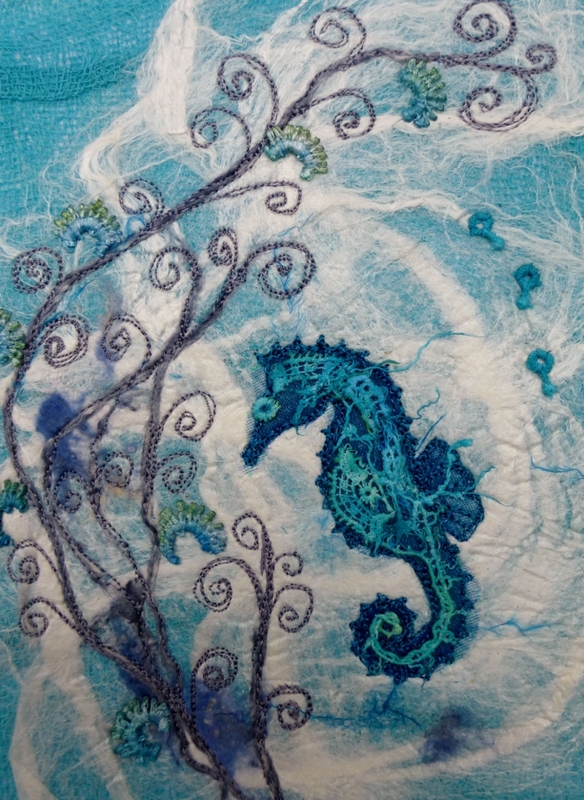 ‘Fossils and sea life have always fascinated me; I love creating fish and other-worldly fantasy creatures life with scales, spines and trailing tendrils’, said Joy. ‘I choose names for my works that have a meaning individual to each of them; names such as ‘Nerice’, which is a variant of ‘Nerine’, from the Greek, meaning ‘from the sea’.’ She’s currently working on more inspiration for her ‘Paper Dreams’ exhibition – her biggest solo show yet, at Snibston Discovery Museum, Coalville, from 14th September 2013 to 26th October 2013. CORBY BRANCH OF THE MHBS – ARTWALL I will be displaying a collection of my work at the Corby Branch of the Market Harborough Building Society at their invitation. The work will be shown on their Artwall from the 1st to the end of August. Beautiful work by Year 3, Glen Hills Primary School. PAPERMAKING WORKSHOP AT GLEN HILLS PRIMARY SCHOOL I held a Papermaking Workshop at Glen Hills Primary School’s, Glen Parva, on 12th June, as part of their Art Week activities. All the children in Year 3 created their own unique papers with impressions and inlay. The following day, when their papers were dry, they were mounted onto gift cards and displayed on the wall, in time for the School’s Craft Fair. 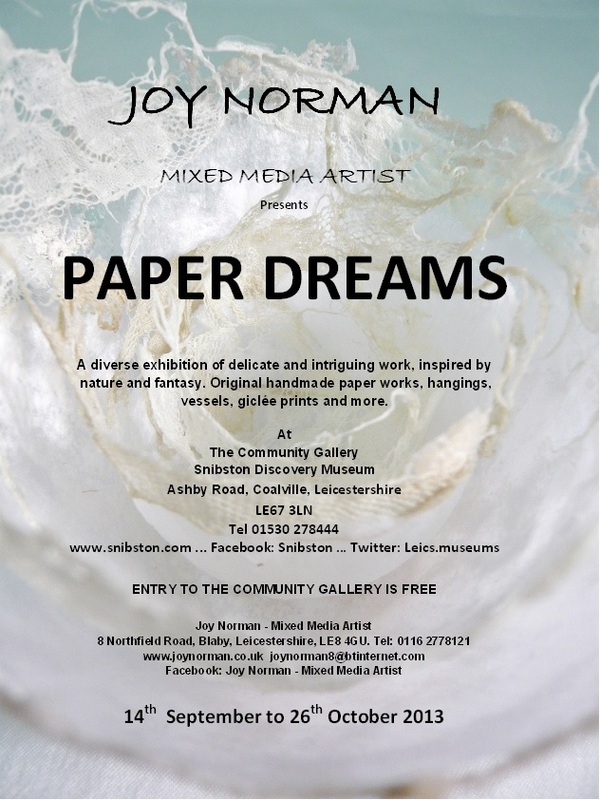 NEWS RELEASE – June 2013 FLIGHT OF FANCY Leicestershire Artist, Joy Norman, is set for take-off at East Midlands Airport. Joy has been chosen to display a collection of her work at the airport’s DepARTures art gallery for three months from 1st June 2013. The judging panel were unanimous in their selection of Joy’s ‘Sea Dream’ collection – a group of handmade paper works inspired by creatures of the deep. DepARTures is an exciting scheme offering local artists the opportunity to showcase their work to the 4.3 million passengers who travel through East Midlands Airport each year. This scheme has already proved to be a great success with a wide variety of different artists displaying their talent in various mediums. Says Joy, ‘I’m absolutely thrilled – it’s a fabulous opportunity for me to show my work in such an amazing space. When I deliver the collection I have to take my passport – and my work is going to be scanned by the x-ray machines!’ As a Mixed Media artist, Joy has been producing framed work, wall hangings, and sculptural shapes for 25 years, from her attic studio in Blaby. 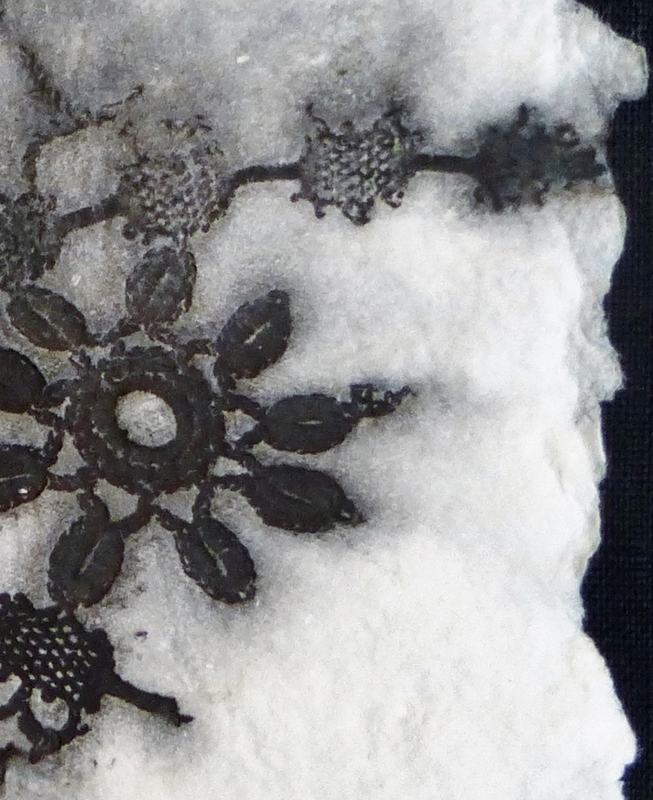 Using self-recycled paper pulp, Joy creates beautiful paper works using techniques such as inlay, impression-making and free-motion embroidery. 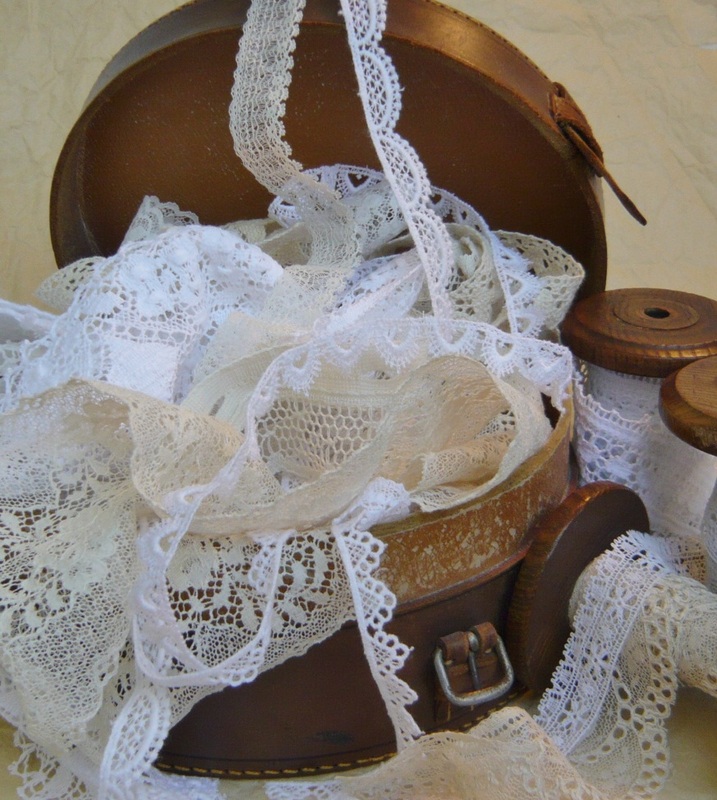 Many of her works incorporate fragments of vintage lace, organic items and found objects. 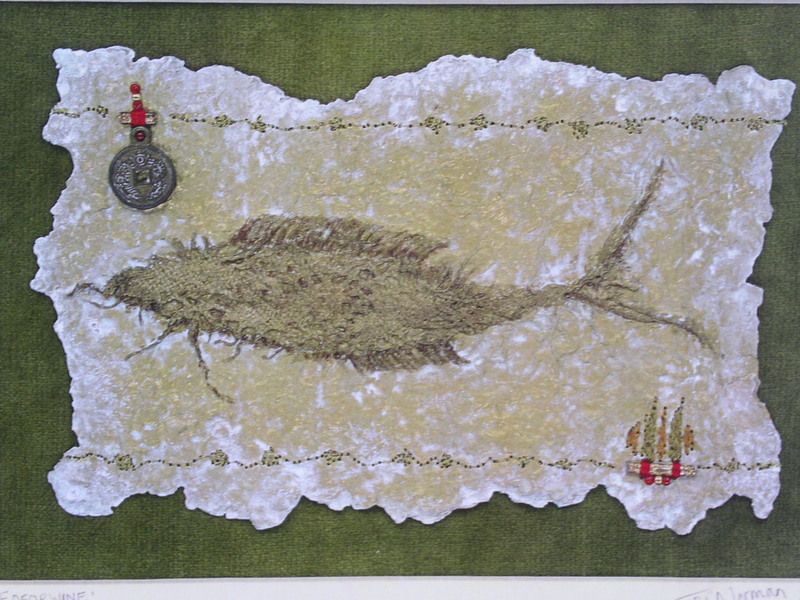 ‘Sea life has always fascinated me; I love creating fish and fantasy marine life with scales, spines and trailing tendrils’, said Joy. She’s currently working on more sea-inspiration for her biggest Solo Show yet, at Snibston Discovery Museum, Coalville, from 14th September 2013 to 26th October 2013. DECORATIVE PAPERMAKING WORKSHOP Following the success of my Papermaking classes at the Richard Attenborough Centre, I will be holding a one-day Decorative Papermaking Workshop there on Saturday 15th June 2013. Using the deckle technique, students will be shown how to make fine, delicate papers using such techniques as impression and inlay. For more information and bookings, contact: the Richard Attenborough Centre, Lancaster Road, Leicester, LE1 7HA. http://www.embracearts.co.uk. Tel: 0116 2522455. QUINNS BOOKSHOP & GALLERY I will have work in Quinns’ Spring/Summer Show from 15.5.13 to 28.8.13. Quinn’s Bookshop & Gallery, Three Crowns Yard, Market Harborough, Leics. 01858 42313. http://www.quinnsbooksandart.co.uk. KETTERING AND CORBY I have recently been invited to display my work at two more branches of the Market Harborough Building Society! My work may be seen at the Kettering Branch for the month of May, and the Corby Branch for August. TESSERAE 2013 EXHIBITION An exciting exhibition, showcasing the extensive and diverse skills of the Leicestershire-based Tesserae Textile Group. As a member of this group, I will also be exhibiting a selection of my work. 23rd March to 27th April 2013 at Snibston Discovery Museum, Ashby Road, Coalville, Leicestershire, LE67 3LN. Tel 01530 278444. www.leics.gov.uk/snibston_museum. LOCAL ARTWORK EXHIBITION I have a selection of my work on display on the Local Artists Wall at Market Harborough Building Society, from 2.3.13 to 30.3.13. Great gifts for Mothering Sunday! Market Harborough Building Society, Welland House, The Square, Market Harborough, Leicestershire, LE16 7PD. www.mhbs.cu.uk. I will be teaching a five-week Papermaking Course at the Richard Attenborough Centre from 20.11.12 to 18.12.12. Students will be shown how to make lovely hand made papers using the Spreading Method and the Deckle Method, and also how to make decorative bowls using these papers. For bookings and further information, please contact: The Richard Attenborough Centre, Lancaster Road, Leicester, LE1 7HA. Tel: 0116 2522455. www.embracearts.co.uk. NEW GALLERY OPENING A new gallery is opening at Palmer’s Garden Centre, Ullesthorpe on Saturday 8.9.12. Joy will be exhibiting a selection of her work, including framed pieces, embellished giclee prints and bowls. The Gallery, Palmer’s Garden Centre, Lutterworth Road, Ullesthorpe, Leicestershire. LE17 5DR. Gallery telephone number: 01455 202929. www.palmersgardencentre.co.uk. TWYCROSS GALLERY OPEN EXHIBTION 2012 Two of Joy’s framed works have been selected for display at the Twycross Gallery Open Exhibition 2012. The exhibition is on from 2nd August 2012 to 8th September 2012, Twycross Gallery, Burton Road, Atherstone, CV9 3PX. Tel 0844 4741777. gallery@twycrosszoo.org. Joy is currently working on a series of unique handmade paper works for the Debbie Bryan Heritage Collection. Debbie Bryan Studio & Shop has been invited to be a part of the Nottingham Lace Season, Lace:here:now, which starts in September. There is a long history of lacemaking in Nottingham – lace is still manufactured there to this day, using traditional methods.Joy’s emerging body of work will be a collection of handmade paper pieces made using carefully selected fragments of Nottingham Lace combined with pieces from her own collection of antique and vintage lace. Debbie Bryan Studio & Shop, 18 St Mary’s Gate, The Lace Market, Nottingham, NG1 1PF. Tel 0115 9507776. Open Mon to Sat 11am – 5pm. www.debbiebryan.co.uk/heritage. Debbie Bryan Heritage, Gallery Shop, Nottingham Castle, Friar Lane, off Maid Marian Way, Nottingham, NG1 6EL. www.debbiebryan.co.uk/heritage. Debbie Bryan Heritage, Yard Gallery Shop, Wollaton Hall and Deer Park, Wollaton, Nottingham, NG8 2AE. www.debbiebryan.co.uk/heritage. Debbie Bryan Heritage, House Shop, Newstead Abbey Historic House & Park, Ravenshead, Nottinghamshire, NG15 8NA. www.debbiebryan.co.uk/heritage.